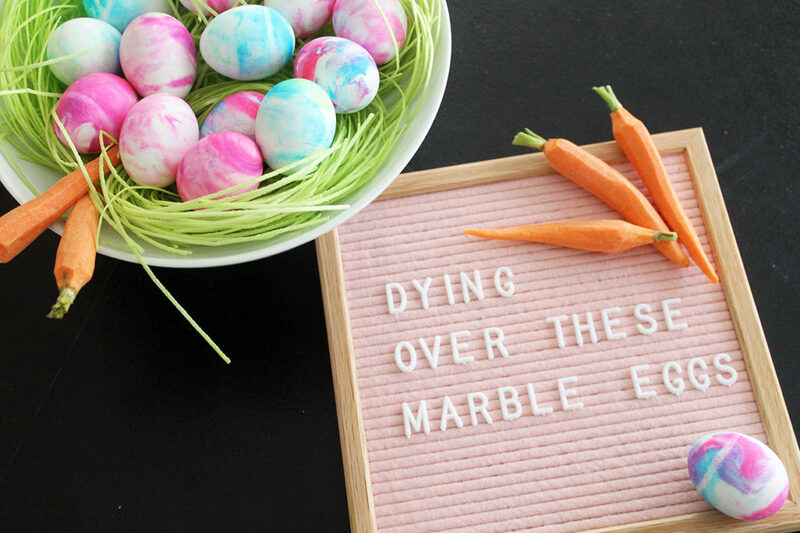 Easter is less than a week away…if you have kids (or even if you don’t), you are probably planning on decorating some Easter eggs this week! 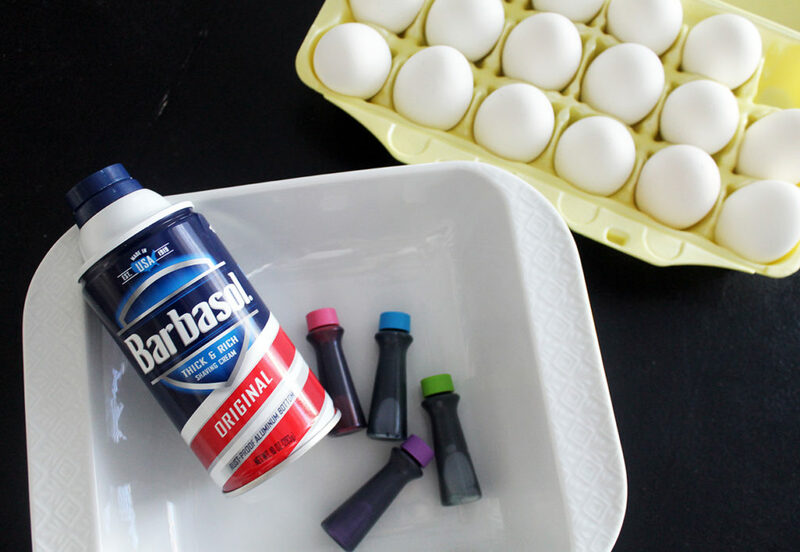 A few years ago, I shared THIS FUN IDEA for tie dying eggs with old silk neckties. We still love doing this at our house! 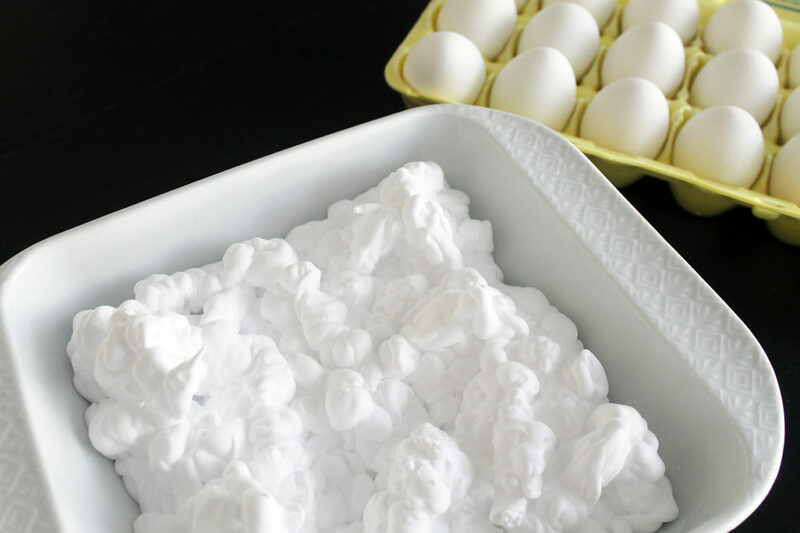 There was also THIS POST about decoupaging eggs with words from a French poem. 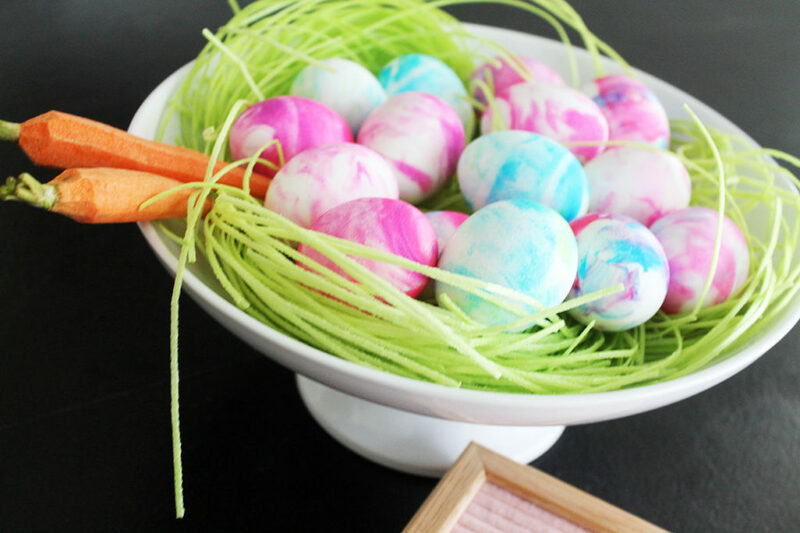 Such a pretty and natural way to decorate eggs! 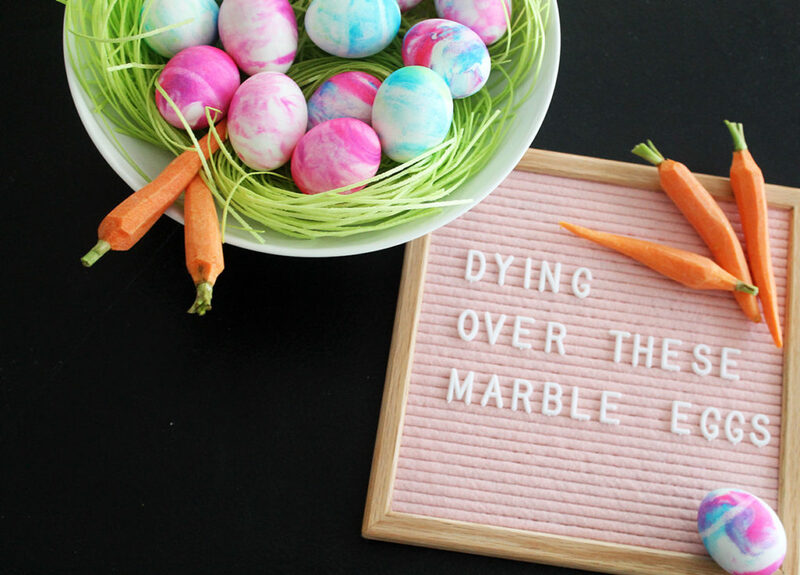 Today, I’m sharing another fun (and a bit messy) way to decorate Easter eggs…SHAVING CREAM MARBLE EGGS! 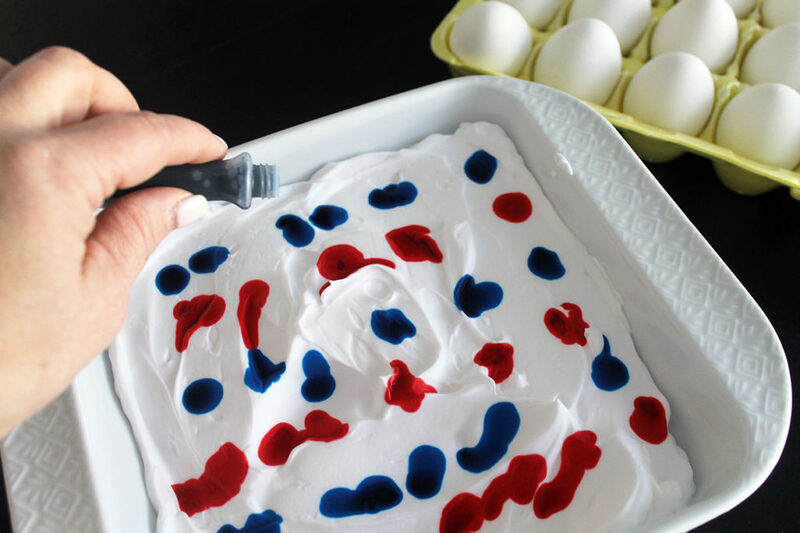 First, fill the baking dish with the shaving cream so that it is about an inch thick. 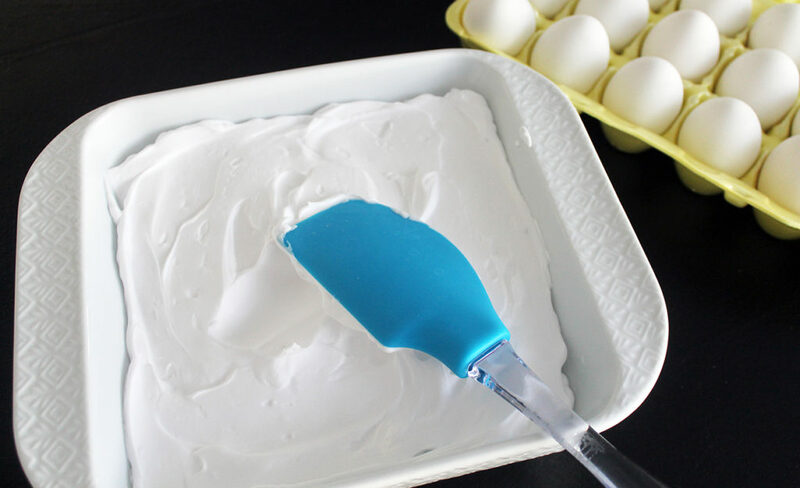 Then spread the shaving cream with a spatula so that it is smooth. 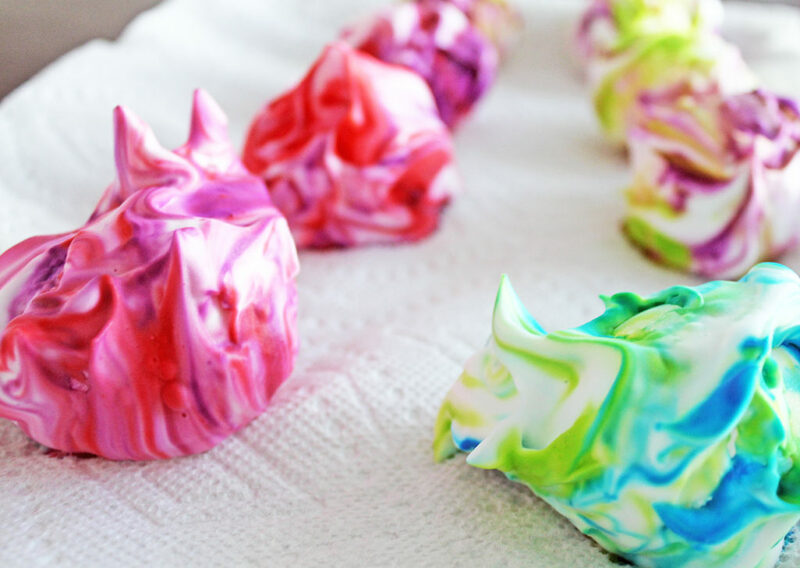 Drip the food coloring on the shaving cream. 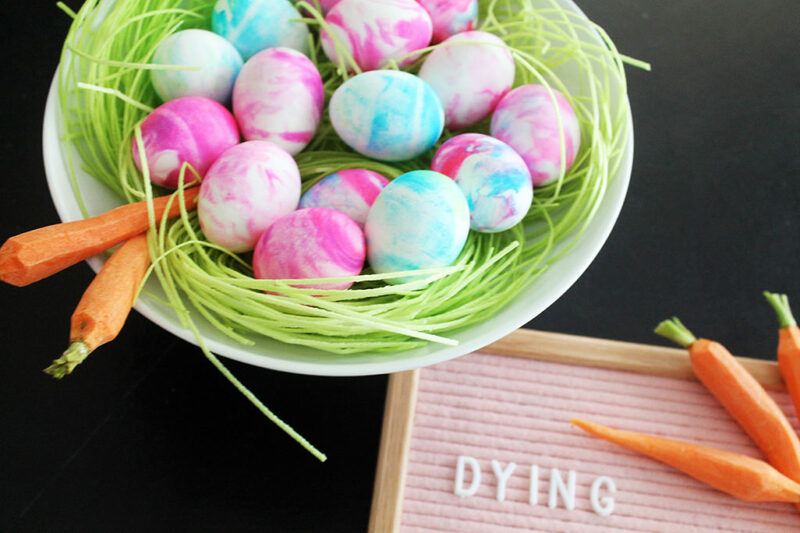 Be sure to use plenty of food coloring, as the eggs will be more vibrant. 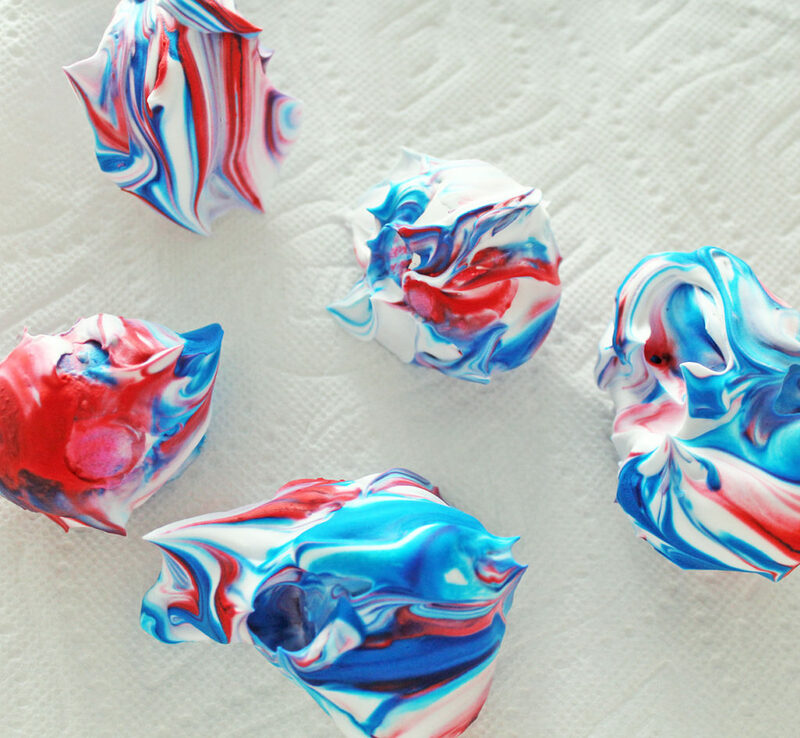 I made “rows” of the food coloring drops using two different colors, and then swirled them together with a toothpick. 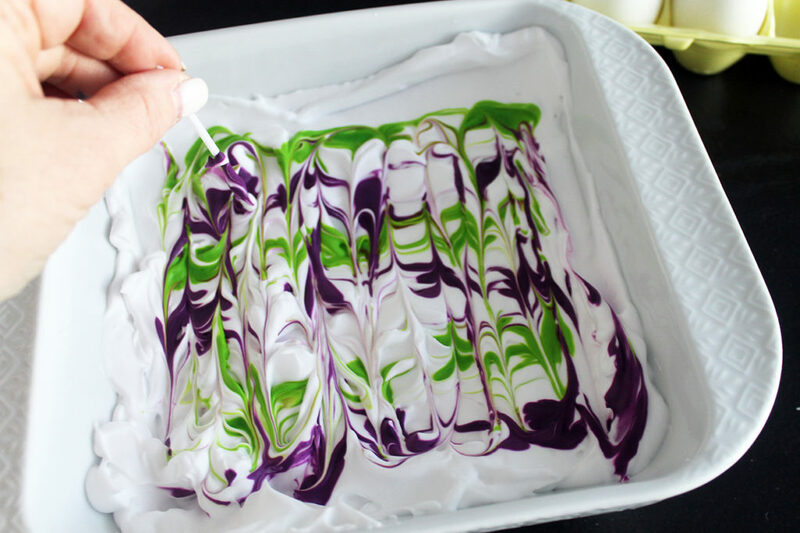 Once I was finished with one set of colors, I rinsed the baking dish and started over with a different combination of food coloring. 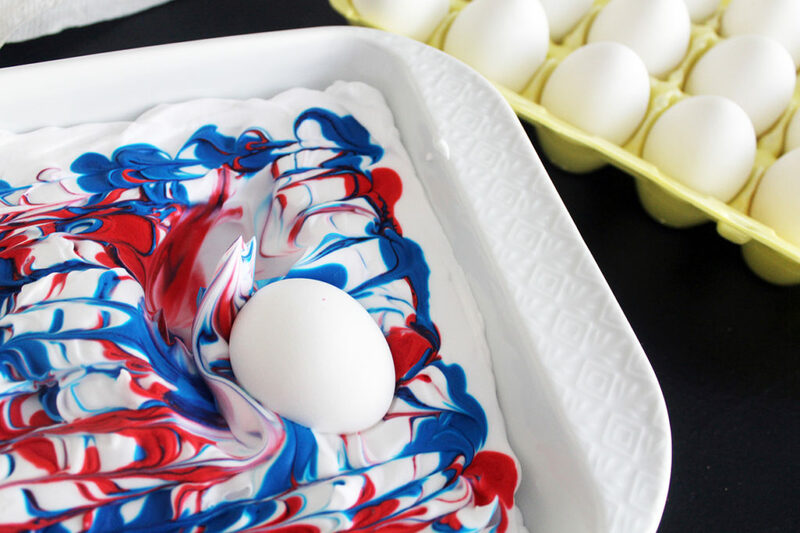 After swirling the food coloring together, I placed the egg in the shaving cream and rolled it around. 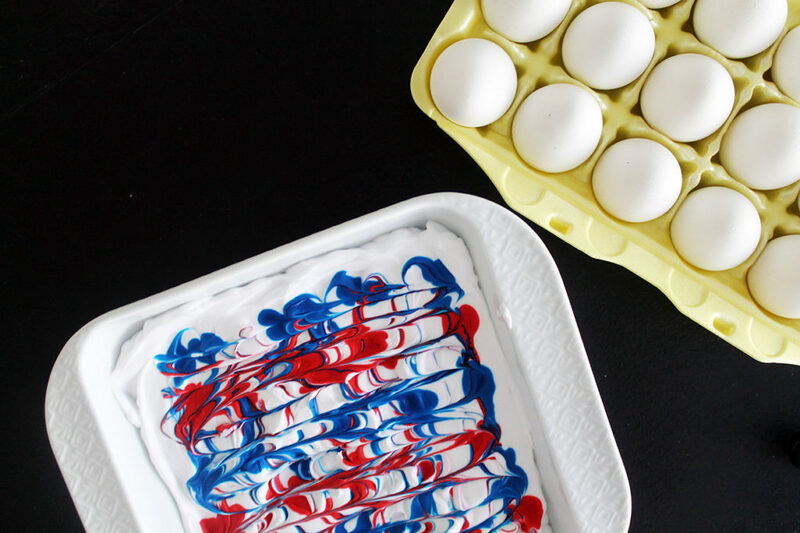 Make sure it is completely covered in shaving cream. Just a little tip…you may want to wear rubber gloves when doing that part. 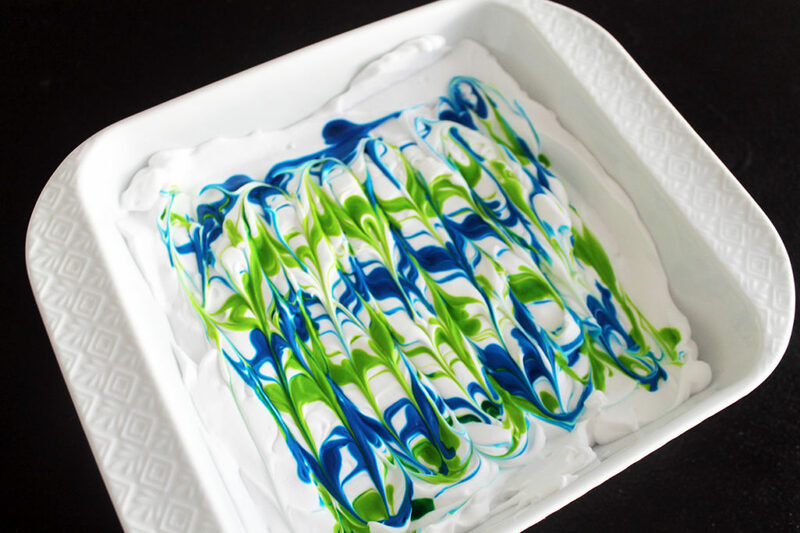 Take it out of the shaving cream and set it on a paper towel for at least 20 minutes. 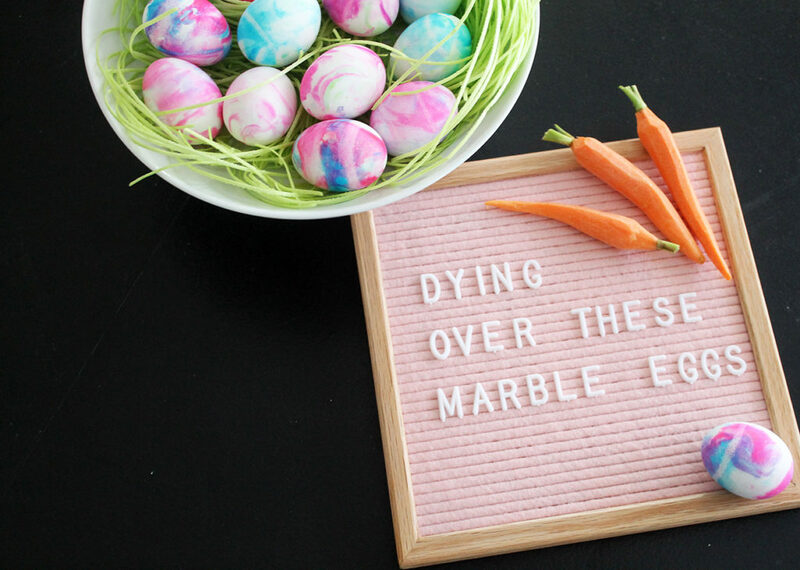 After 20 minutes or so, rinse off the eggs with cold water and the marble design will be present. 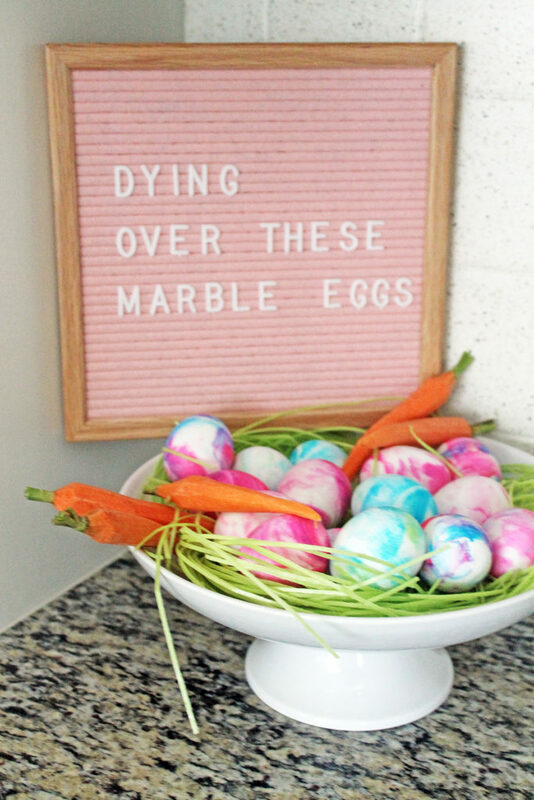 Aren’t these eggs just to “dye” for?! ?